For many years following high school, I spent the majority of my free time making music. I recorded music, went on tours, and had all kinds of adventures. A lot of the music I recorded in the mid to late 2000's is pretty much only available on vinyl (the preferred medium of independent musicians the world over), but as I'm able to I will link to music I was involved in making. I was in lots of bands, and there is no way I could write about all of them. I'll limit myself to writing about the bands I'm best known for. Rectangles were a synth punk band that were together for something like a year and a half. At different points I played guitar, keyboards, and bass in this band. I co-wrote all of our songs with our singer and it was my first real experience in an active band that played shows. We recorded a ton of music, but only a single EP made it to record store shelves. We recorded a second EP, but sadly we never found a label for it. Our demos were actually pretty great too. They made the rounds and eventually reached the hands of Jello Biafra, who had us open for him and The Melvins. Good times! 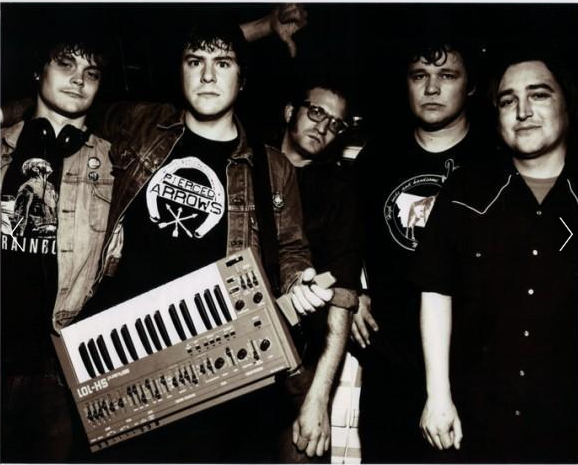 Eegos was a sort of modish punk band that I played bass (and, on record, electric piano) for in the mid 2000's. 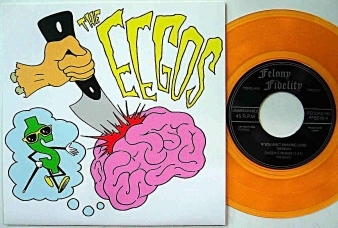 I used to tell people that Eegos was equal parts Ramones, the Who, and the Zeros. We recorded a few singles/EPs that ended up on some top ten lists. Everyone in this band was super talented and I think that Eegos might be the tightest band I've been in. The first tour I went on with Eegos was the funnest time of my life up until then. It was then that I discovered that about 95% of the time on the road is spent telling jokes and laughing until it hurts. Even after I left Eegos I joined them onstage for a couple reunion shows. I still hold onto hope that some day I'll get a text asking me to come practice for another one-off Eegos show. Delorean Sunset was a mostly one man project. This band was an attempt to recreate the minimal electro art-punk that was popular in Belgium and France in the early 1980's. Around the time I started recording DS songs, I started collecting vintage synthesizers and drum machines and as a result, I only used electronic instruments in this band. One thing that sets DS apart from other minimal electronic bands is that I decided to never use MIDI, and play whatever part I could live and unsequenced. The result was a more organic sound than most electronic music fans are used to. A super nice dude in Germany named Stefan released a DS album on cassette (and CD as well maybe?). There are some videos on YouTube that I made on windows video maker but they are super silly and pretty dumb. I probably recorded about 200 songs for this "band", but we only played one show. DS was an absolute blast to do. To this day I still feel most at home doing what I did in Delorean Sunset; recording synth punk in a moldy basement at 3 in the morning amidst a sea of 1/4" cables and cheap effects pedals. Leaders was my most prolific band. We had numerous releases between 2007 and 2010 and they were well reviewed. We were slightly proggy, occasionally atonal, and always weird. Most reviewers referred to us as a post-punk band, and I think that's a pretty good description of our style. I played keyboards and guitar and I wrote a lot of the songs. I think that Leaders was the most unique band I've had the pleasure of being in. 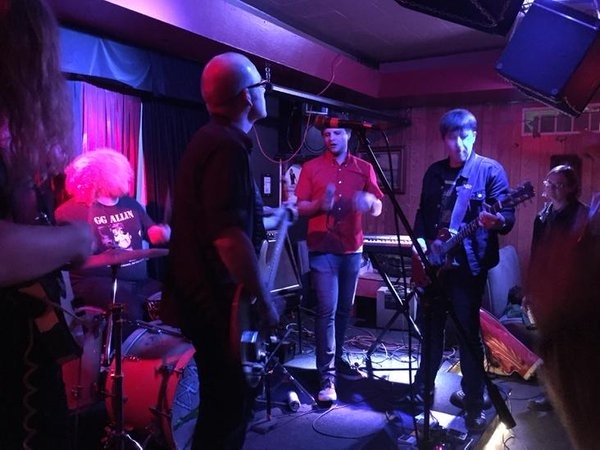 We were never afraid of trying new things or doing things that were outside the norm for what punk bands typically do, and as a result there was really nothing quite like us. We went on a bunch of tours and had a bunch of wild times. It was the first (and sadly, only) band I managed to play outside of the United States with, and we even got to play with Portland legends Fred and Toody Cole in their band Pierced Arrows for that show. Good times! Polaroids is a band that never officially broke up, but that got put on the back burner while I finished school. As long as I live, I'll try to schedule and play a show with Polaroids whenever I know I'll be in Portland. Along with Andy Foster (the most talented guitarist in Portland IMO), I write all of the music and lyrics for Polaroids. We are the most mainstream-sounding of the groups I've played in, and that isn't necessarily a bad thing. Polaroids is our personal love letter to bands like Cheap Trick, Dinosaur Jr, and Teenage Fanclub. We recorded a couple 7"s and an as-of-yet unreleased LP that is doubtlessly the best thing I've ever done in music. Denizenz is another band that got put on hiatus while I finished school. Like Polaroids, I co-write all of the songs with our singer. I think most of the best live shows I've played were with Denizenz, and my best record that has seen the light of day is the LP I recorded shortly before I left Portland for Corvallis. Like with Polaroids, I don't ever see me actually wanting to end Denizenz. It's too much fun, my bandmates are the best, and I like the songs too much to let that happen. For the time being I'll settle for the occasional one-off show but I can't wait to start writing new songs for this group. Other than the bands I actually played in, one point of possible interest is that between 2001 and 2003 I was a rodie/merch guy/general lackey for a band that I count myself as extraordinarily lucky to have known. This band was called The Exploding Hearts, and they were incredible. Unfortunately, they met a tragic end early one morning in July of 2003. I encourage everyone that reads this to seek out their music and read their story, because it is amazing and the world is better place because they were in it. Beyond being in a legendary band, those guys were wonderful people, great friends, and a big part of my life. I still think about them every day. Paul Barnaby (Drums), John Byford (Bass), Ben Teeter (Vocals), Joel Goodman (Guitar), Nik Barnaby (Guitar, not pictured). Chris Spizz (Drums), Joel Goodman (Guitar and Keys), Don Fite (Vocals), Kelly Gately (Guitar), Jason Irish (Bass). 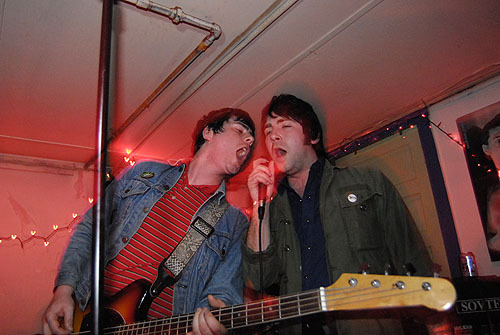 This sparkly YouTube thumbnail depicts Joel Goodman (Bass) and Andy Foster (Guitar) performing live at Dante's in 2012 or so. Chris Spizz (drums) isn't pictured. 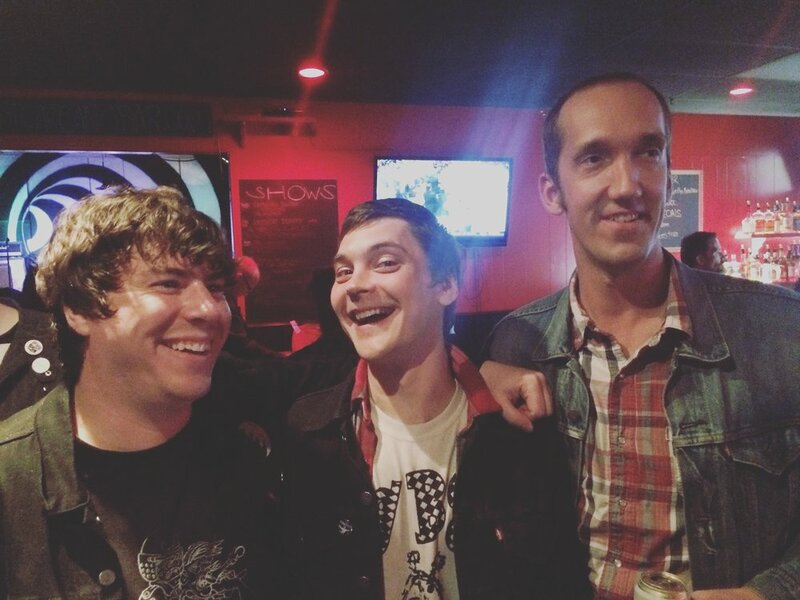 Joel Goodman (Bass + Vocals), Chris Spizz (Drums), and Andy Foster (Guitar + Vocals).